Meet me in the Culture Night in Copenhagen! 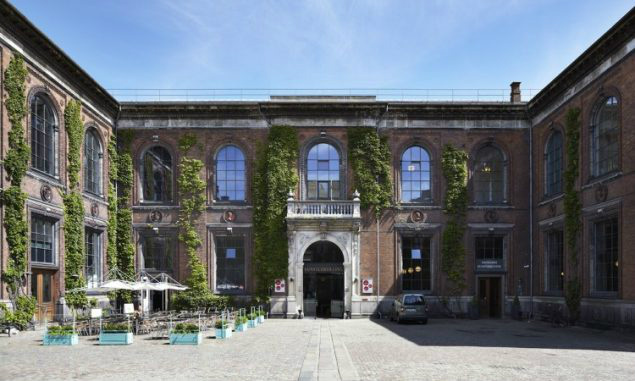 The manager for Kunsthal Charlottenborg, Copenhagen, Michael Thouber, has invited me to participate in the Culture Night event: "At war with Art." Well, if I can paint and draw ancious fleeing vulcano victims living 2000 years ago in Pompeii Italy 2000 km away from me and get my old ancient artwork on a travelling museum exhibition in Italy, then why not take the challenge and try out my power of abstraction drawing contemporary war art? I don´t know if I can until I have tried. So if I don´t get a kidneystone attack myself, I will therefore be drawing or painting an artwork in the workshop at Charlottenborg Pallace, Nyhavn 2, ground floor, 1051 Copenhagen, between 6.30 PM and 10.30 PM, Friday Oct. 14th 2016. Theme: Skirmish painting (bataljemaleri). Dued to my illness, hyperparathyreoidism, I have difficulties concentrating with a lot of noisy people in the room. Therefore, I will be wearing earplugs when I draw or paint at Charlottenborg tonight as I also might work in my favourite media, crayons and ink on cardboard, where it is impossible to paint over the artwork if I fail. I have to draw / paint right the first time. One wrong line and I have to start all over with the artwork and with my perfectionism there is no time for that. Also my to this disease related benign hormone producing adenom (tumor) in my neck seems to affect my ability to speech. My voice is not stabile. I have long periods now during the day, where I am dumb, especially in the evenings, so if I don´t answer your questions, it´s not because I ´m snobbish or odd, ...... - It´s because I can´t. Admission: Culture night ticket, 90DKK, which you can by at the entrance to Charlottenborg. Adress: Kunsthal Charlottenborg, Nyhavn 2, ground floor, 1051, Copenhagen. ( Kgs Nytorv).